At Pasadita Tamaleria (from left): cook Elena Pascual, co-owners Carlos Gaona and Maria Padrón. Anytime is a good time for tamales, but this Thursday is a red-letter day for Mexican tamales fans. February 2 is Candlemas, also known as Candelaria in Spanish — the day in Catholic tradition when Jesus was first taken to the temple in Jerusalem. Families celebrate by lighting candles and there’s often a party. La Pasadita’s name has two meanings: “passing by,” or “grab and go.” Both are apt for its tiny, easy-to-pass-by location alongside the busy Plaza. The family initially rented the storefront just for its kitchen — prep space for their two “loncheria” food trucks that go to construction sites. 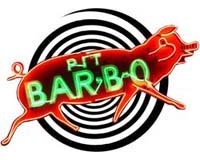 Only after a year did they open the 1950s-retro dining room — three tables and a nine-stool counter — to on-site eaters. Back in the kitchen, cook Elena Pascual makes tamales reflecting two Mexican traditions. Maria Padrón hails from San Luis Potosi in the north where corn husks are used to sheath tamales, which are made with masa — specially processed corn. Her husband Carlos Gaona comes from Veracruz in the south, where green plantain leaves serve as the wrappers, and the dough can incorporate pureed fresh-from-the-cob sweet corn. In either style, choices of fillings include chicken, pork and salsa, or cheese and jalapeño. Be sure to try the dulce — sweet — tamales. My favorite combines raisins and sweetened condensed milk to make a rich, comfort-food dessert. 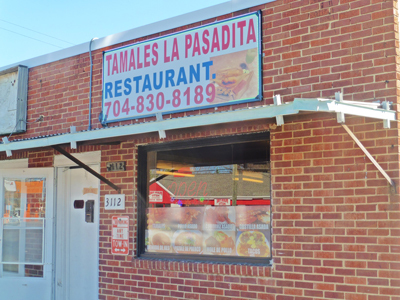 What was once a blue-collar luncheonette circa 1950s on The Plaza is now Tamales La Pasadita.